Back in March 2017, the charter plane of the Michigan men’s basketball team aborted takeoff from an airport in Ypsilanti, crashed through a chain link fence beyond the end of the runway, and came to rest in a field beyond a surface road and a ditch beyond the airport boundary. The plane was all trashed up, but everyone aboard survived. Radloff, tearing down the runway at flight speed, tried to get the airplane to “rotate” for takeoff, but the nose wouldn’t lift, because something called an “elevator” had been jammed by high, gusting wind while the plane was parked next to an airport hanger for two days. The NTSB report includes a section on “procedures and guidance” for rejected takeoffs, taken from the aircraft operation manual, which note specifically that “in many cases, rejected takeoffs at high speed have had far more negative or catastrophic results than would have been likely if the takeoffs had been continued.” Horrifyingly, NTSB investigators found that the conditions that made the plane incapable of flight could not have been discovered by preexisting protocols prior to the exact moment when Radloff found that the plane “wasn’t flying,” past the point of no return, with the end of the runway and a chainlink fence screaming into view. But that’s not all! In this case, Radloff—the captain of the flight—was actually being trained on that aircraft by the “check airman,” a condition that the NTSB says made the check airman the “pilot-in-command” of the flight. The check airman, a man named Andreas Gruseus, was therefore at least theoretically empowered to override any decision made by Radloff that put the flight at risk. Gruseus in fact reached for the controls when Radloff called abort—round about the time Gruseus said “no, not above” in the above transcript—but made the split-second, potentially life-or-death decision to follow the competing mandate to let the captain make the abort decision. This could’ve gone very badly! Had the check airman simply reacted and assumed control of the airplane after the captain decided to reject, the results could have been catastrophic if such action were to further delay the deceleration (at best) or to try to continue the takeoff in an airplane that was incapable of flight. Thus, the NTSB concludes that the check airman’s disciplined adherence to company [standard operating procedures] after the captain called for the rejected takeoff likely prevented further damage to the airplane and reduced the possibility of serious or fatal injuries to the crew and passengers. The NTSB report is 134 pages long, and a lot of it is very technical and involves stuff like math and physics and multiple legends of abbreviations, plus a dry and lengthy transcript of voice recorder data. 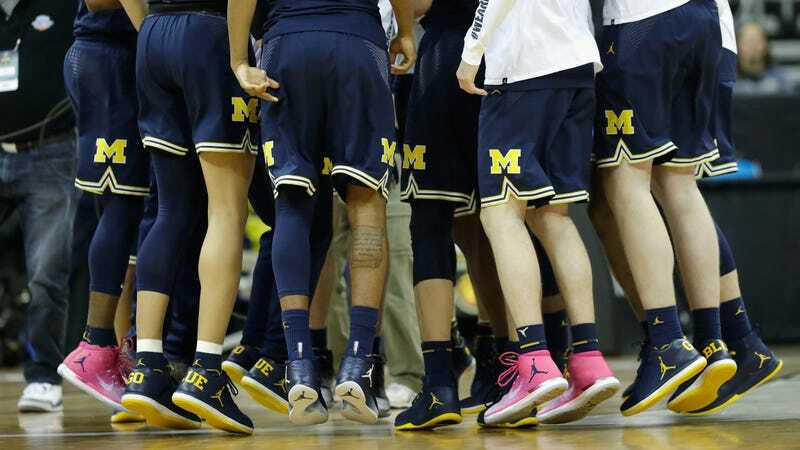 But the parts of it that are comprehensible to a layperson are genuinely gripping, and explain in no uncertain terms just how close the Michigan men’s basketball team came to real disaster. Instead they evacuated the grounded plane, flew out the following day, and won a basketball tournament. Here’s the report, if you’re interested. Where is BBC One’s Ambulance set and filmed?